HMH Books for Young Readers, 9780547906508, 32pp. * "Each poem brings a sense of humor, respect, or wonder to its subject." * "Concluded with a glossary of big but fascinating words, this is equally suited to curricular units and cozy reads in front of a fire." * "A work to be savored by young artists and scientists." * "Winter Bees distinguishes itself with a focus on the science of animal survival, coupled with superlative illustrations. Readers young and old will enjoy this winter journey and marvel at the wonders of nature." "A handsome, persuasive, and authentic ambassador for creatures in their natural state." "A collection that's as crisp as the first snowfall, Winter Bees is the pefect way to pass a chilly afternoon." 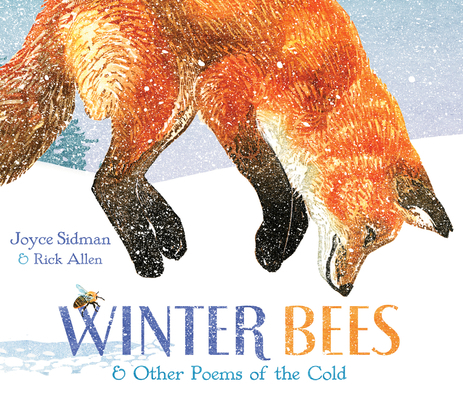 "This author-artist duo makes winter wonder-filled." * "Sidman is a master at retaining overall momentum while giving the individual poems their own form and style."